New research from the University of Washington and NOAA Fisheries' Northwest Fisheries Science Center shows this powerful sense of smell might be in trouble as carbon emissions continue to be absorbed by our ocean. Ocean acidification is changing the water's chemistry and lowering its pH. Specifically, higher levels of carbon dioxide, or CO2, in the water can affect the ways in which coho salmon process and respond to smells. "Salmon famously use their nose for so many important aspects of their life, from navigation and finding food to detecting predators and reproducing. So it was important for us to know if salmon would be impacted by future carbon dioxide conditions in the marine environment," said lead author Chase Williams, a postdoctoral researcher in Evan Gallagher's lab at the UW Department of Environmental and Occupational Health Sciences. "Our studies and research from other groups have shown that exposure to pollutants can also interfere with sense of smell for salmon," said Gallagher, senior co-author and a UW professor of toxicology. "Now, salmon are potentially facing a one-two punch from exposure to pollutants and the added burden of rising CO2. 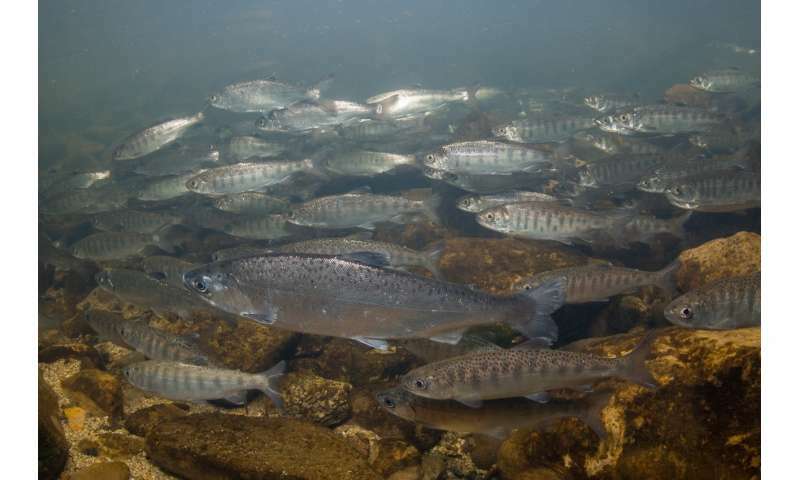 These have implications for the long-term survival of our salmon." After the behavioral tests, neural activity in each fish's nose and brain—specifically, in the olfactory bulb where information about smells is processed—was measured to see where the sense of smell was altered. Neuron signaling in the nose was normal under all CO2 conditions, meaning the fish likely could still smell the odors. But when they analyzed neuron behavior in the olfactory bulb, they saw that processing was altered—suggesting the fish couldn't translate the smell into an appropriate behavioral response. "We're hoping this will alert people to some of the potential consequences of elevated carbon emissions," said senior co-author Andy Dittman, a research biologist at the Northwest Fisheries Science Center. "Salmon are so iconic in this area. Ocean acidification and climate change are abstract things until you start talking about an animal that means a lot to people." This is complete crap. 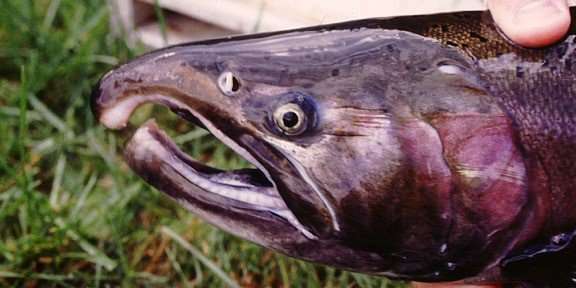 Salmon have to smell their way back to one particular stream from the middle of the ocean. Any pollutants in that stream confuse them. Nowadays, it's fracking fluid. You idiot author. Try that behavioral test with some fracking fluid.